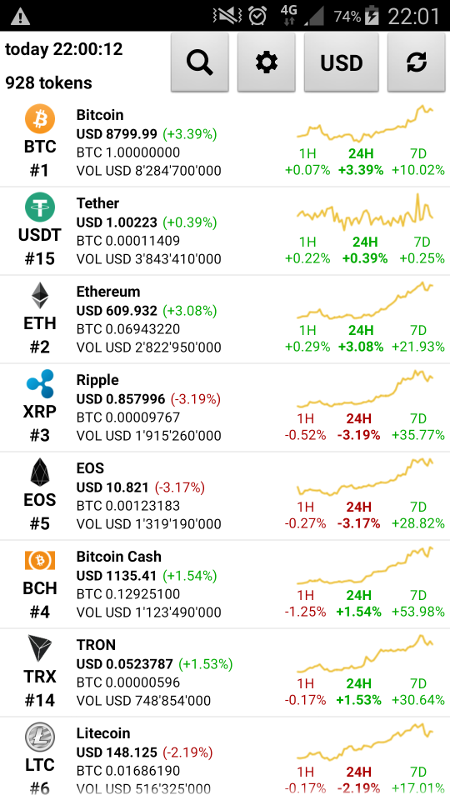 Get all the infomations about Bitcoin, Ether, Monero, Dash, Zcash, Ripple and other altcoins. 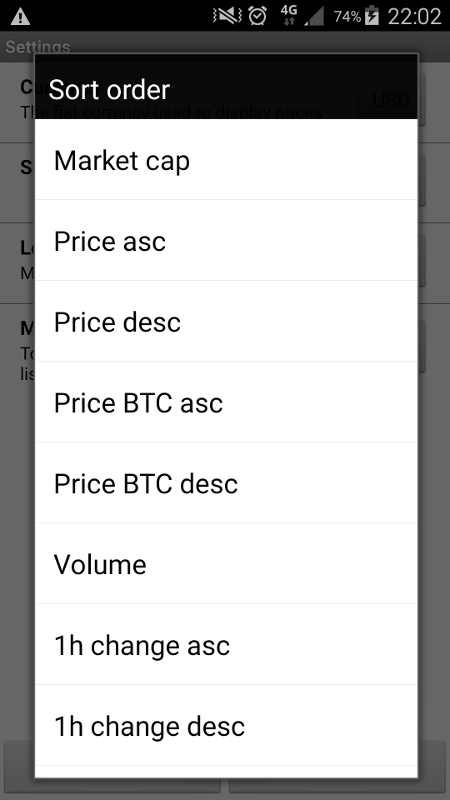 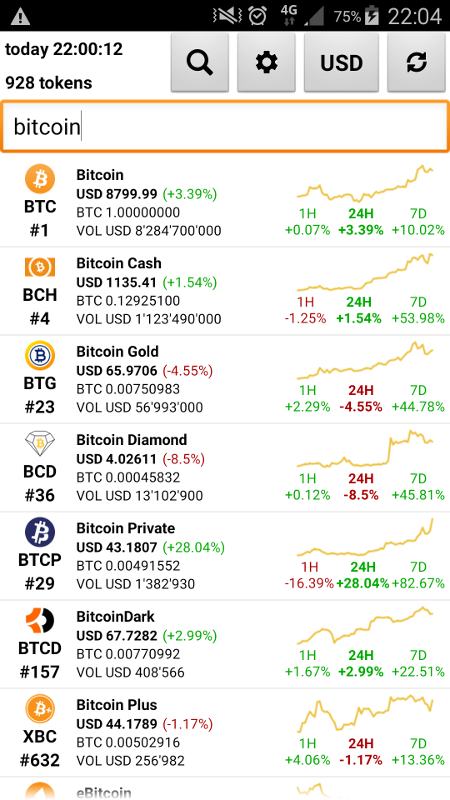 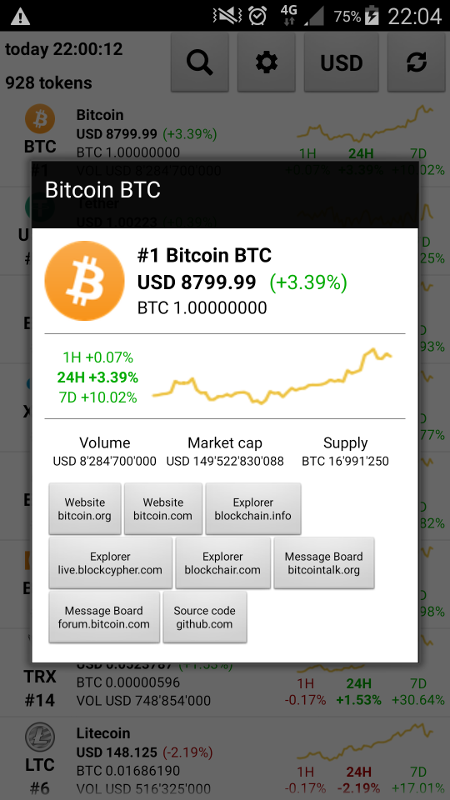 Price, volume, change in percent, market capitalization, supply and chart. 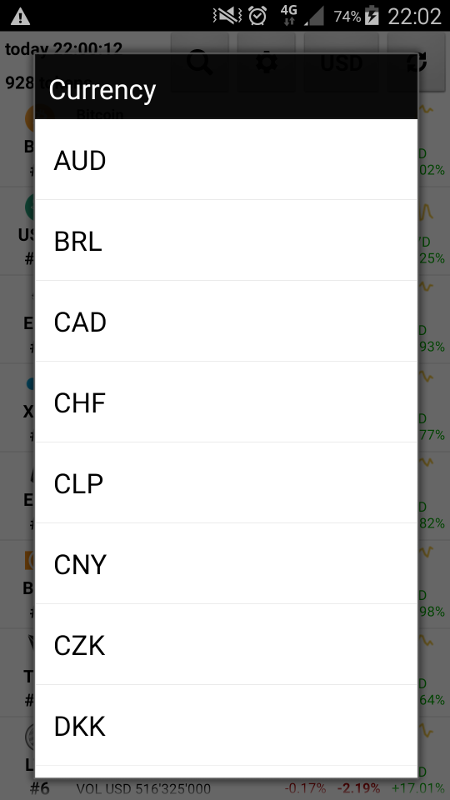 Available currencies: AUD, BRL, CAD, CHF, CLP, CNY, CZK, DKK, EUR, GBP, HKD, HUF, IDR, ILS, INR, JPY, KRW, MXN, MYR, NOK, NZD, PHP, PKR, PLN, RUB, SEK, SGD, THB, TRY, TWD, USD, ZAR Source: CoinMarketCap.com Permissions INTERNET to download data Coins does not store or transmit any user data.